With over 12 years experience in tree surgery and garden maintenance, we can offer extremely competitive rates no matter what your requirements. From large fells to crown reductions, dead-wooding to stump grinding. Our work is of the highest quality and carried out in accordance with British Standards. Get in touch for a FREE, no obligation quote or advice. Click to see how highly our customers rate us. 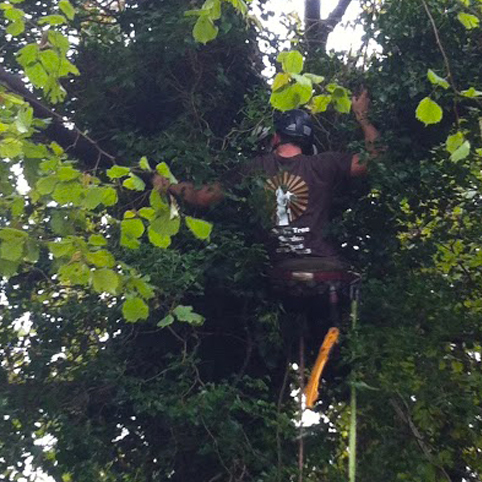 We cover all aspects of Tree Surgery (arboricultural work). From complete removals to light pruning, crown-lifts to thins and reductions. No job is too big or small. Dangerous or damaged tree? We can help. Many tree pruning and removal jobs are very unsafe for the average homeowner to do themselves. As professional Certified Arborists we have the necessary skills, equipment and fully insured and licensed to get the job done correctly and safely. Removed a tree in the past? Can't get rid of that pesky old tree stump? 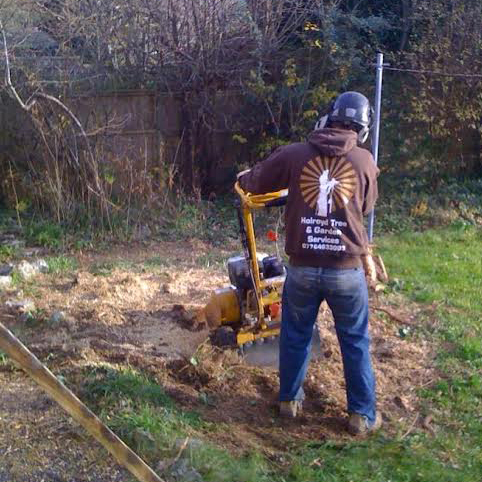 We can completely remove your old tree stumps using powerful machinery. Great if you want to free up some valuable garden space or just want to plant something new! Healthy trees just keep on growing! When yours gets a little out of hand, we can reduce the height of the tree, and the outside dimensions to make it more manageable and let more light into your garden. We carry out our works to British Standards 3998, so you can be sure we won't harm your tree... just give it a haircut! Low hanging branches getting in your way? Do you need to clear the branches off your property? We can remove low branches safely without damaging the tree so you can gain access to parts of your garden. We can lift the crown of your tree to your requirements. Although we specialise in trees, we also have years of experience in fencing, turfing, planting schemes and hedge cutting, trimming and shaping. We can cater for all your fencing needs, whether it be removing a hedgerow and replacing with a fence, or simply erecting a brand new fence, we can help! A nice lawn really makes a garden! 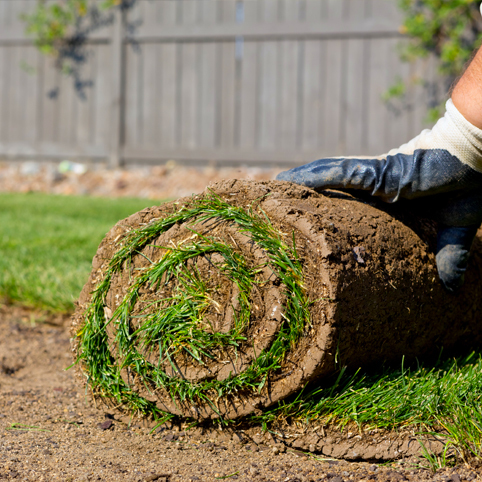 If yours is in need of renewing or you want to replace a grimy old patio, we can lay turf to very high standards and at very competitive rates. We know that sometimes the garden can look a little bare after removing a mature tree. So why not replace it with a younger, easier to manage replica? We can help with all your planting needs. Hedge getting out of control? We are experts in keeping hedges prim and proper. If your hedge needs a bit of attention get in touch and we'll get your hedge looking neat and tidy in no time.